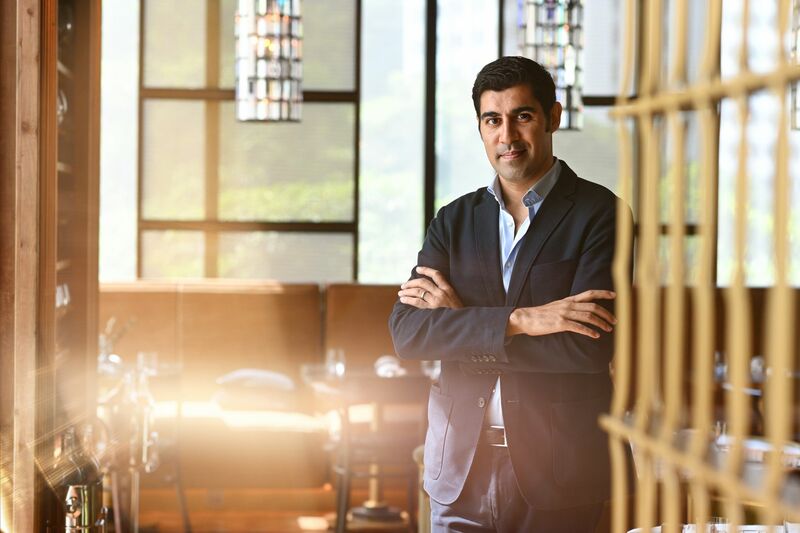 As part of the launch of his new book, The Future Is Asian, Dr. Parag Khanna spoke at at members’ club 1880 on January 17, at an event organised by the Forum Club and the ESSEC & Mannheim Executive MBA programme. Singapore Tatler interviewed him afterwards, and a full interview will be out in our print issue soon. In the meantime, here are some takeaways from our time with the global strategist. From checking his phone in between each pose for the camera during our photo shoot, to deftly fielding interview questions while signing piles of his new book for an event later that evening, this is a man who knows how to wring productivity from every second. Parag and his wife, Ayesha—a fellow powerhouse strategic advisor—moved to Singapore with their two young children in 2012. Ask him why, and he says: “We were living in London, and the flat was getting crowded with all of us and the nanny. So I said, we need a nanny state. And what is the world’s foremost nanny state?” For the record, that’s not a pejorative term in his opinion. Check out one of his many pieces about Singapore here. In the 1990s, regional leaders Lee Kuan Yew and Mahathir Mohamad championed what became termed as Asian values, positing (broadly speaking) that an emphasis on collective harmony rather than individual rights had helped Asia succeed. Parag’s book discusses what he terms “new Asian values”, namely: technocratic governance, mixed capitalism, and social conservatism. How will we know when the Asian future arrives? According to Parag, it’s already here. “I was going to call the book The Present Is Asian, but that’s not very catchy. By every metric that matters, we already live in the Asian century.” What are these metrics? Find out more in our full interview an upcoming print issue. Learn more and pick up a copy of The Future Is Asian here.